Escape From the Scooby Doo Mansion: Sick of Awesome Album Covers Yet? Too Damn Bad! Sick of Awesome Album Covers Yet? Too Damn Bad! I couldn't have made this up in a month of Sundays. The question in my mind is, what are songs for gay dogs? I'm seriously at a loss here, friends. Next question: who the hell is Paddy Roberts and why haven't we made him Supreme Overlord of the Known Universe yet? Gay dogs have rights too! Quite right AC. Gay Dogs deserve songs just like the straight dogs do. 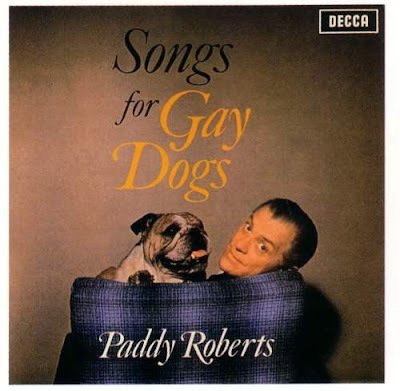 I'll bet Paddy and his Gay Dog have cut a spectacular album together.